I have been using WPF for a bit, written about LINQ, but decided I should explore some of the other .NET 3.0 stuff. 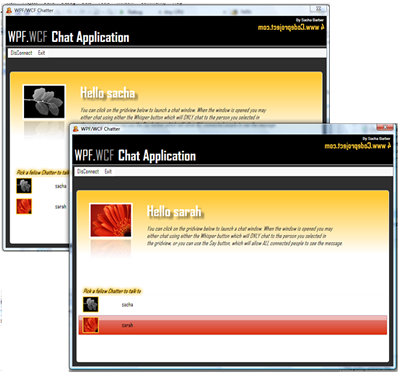 To this end I have create a WPF / WCF chat application using all the good WCF stuff like callbacks etc etc. You can see the application at codeproject or just follow thisÂ link. Anyway it looks like this, oh I got a prize for this. People liked it. 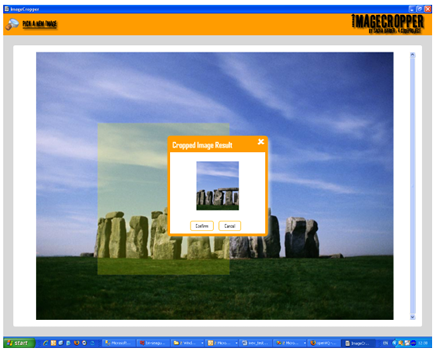 The other day one of my friends asked me how easy it would be to create an image cropper in WPF. I had a think about this and created a little article at codeproject. Its a WPF control that allows the user to create a rubber band crop area that may be moved and previewed. When the user is happy they can save the image. At the moment it usesÂ Interop with .NET Drawing namespace to do the actual image save as I couldnt find the correct .NET 3.0 class to allow me to save.Â But there is an excellent entry in the forum telling you how to do it all with pure .NET 3.0 code. I like WPF, and the other day I thought I would write a little wrapper control around the MediaElement in WPF. I wanted my control to allow drag and drop and a media list to me held. 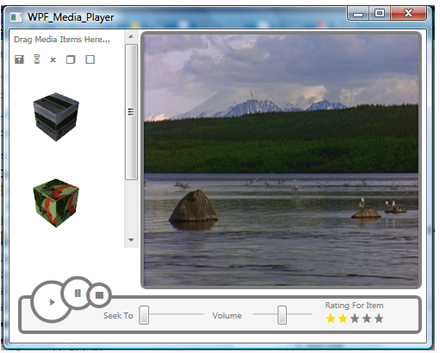 It should allow users to start, seek, pause and stop the media and adjust the volume.